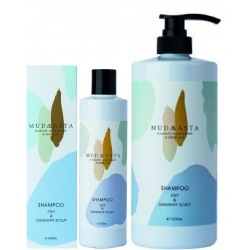 MudMasta	There are 4 products. Prevent hair loss and premature graying caused by problematic, sensitive and dry scalp issues. 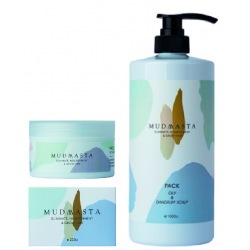 Moisturizes while calming irritated, sensitive dry scalps. Creates a healthy scalp environment to grow hair and prevent premature aging. 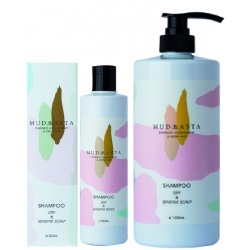 Deep cleanse without drying out scalp and hair. Creates a healthy scalp environment to promote hair growth and prevent premature graying. Helps maintain a moisture balance for the scalp and hair. Heals problematic scalp issues, such as dandruff, to create a healthy scalp environment to promote hair growth and prevent premature graying.